A Peek at the Fun: Hosting a Christmas cookie exchange is a fun way to spend time with friends and try lots of Christmas cookie recipes. Here are some tips and tricks to make your cookie swap fantastic! Every year we start the season with great intentions to not eat ALL the treats during the holiday season. Of course, both of us love treats and know we’re going to be a little weak, but man, break out that cookie plate and we’re goners! So at this point, we’re just embracing it and admitting that we love ALL THE COOKIES and just want to eat them all season long. 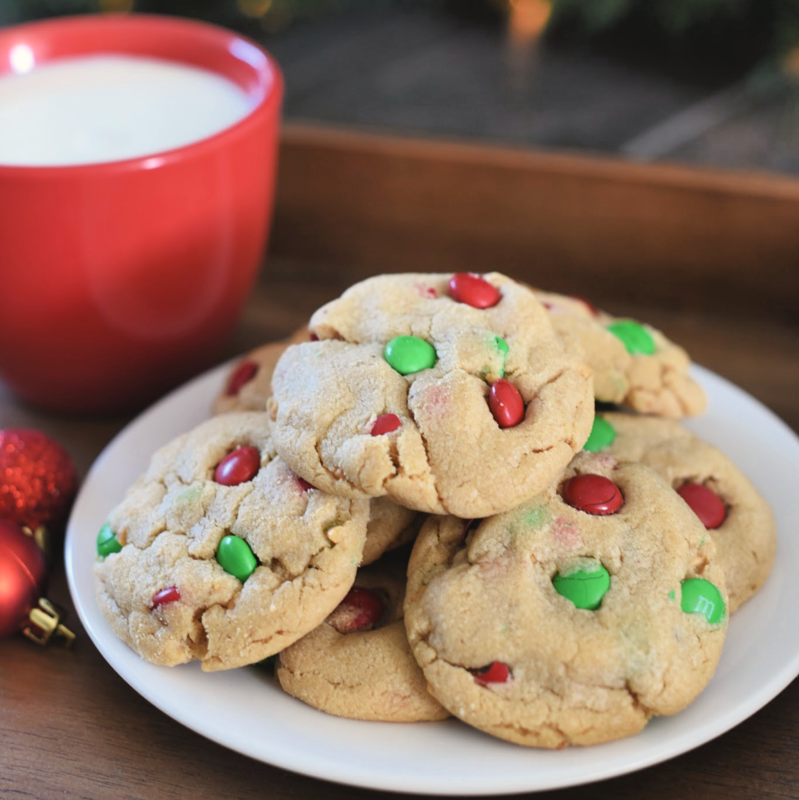 We’re thinking that hosting a Christmas cookie exchange party would be a lot of fun. It’s a great way to bring your friends together, eat treats, and enjoy the holiday season, and you get to go home with a bunch of new cookies to try. 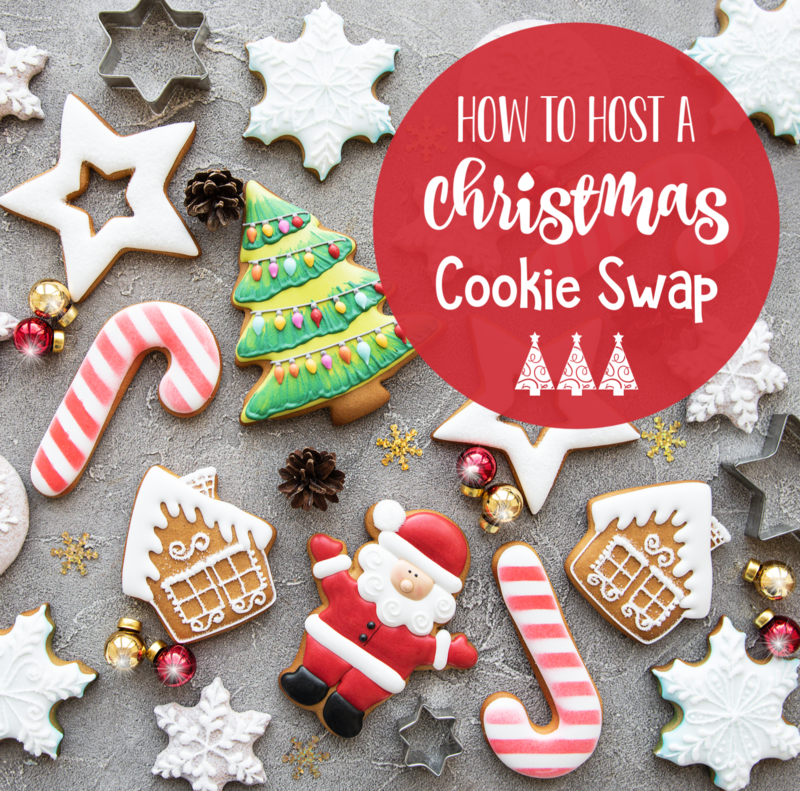 So if you’ve ever thought of hosting a holiday cookie swap, let’s talk about how to make it great! 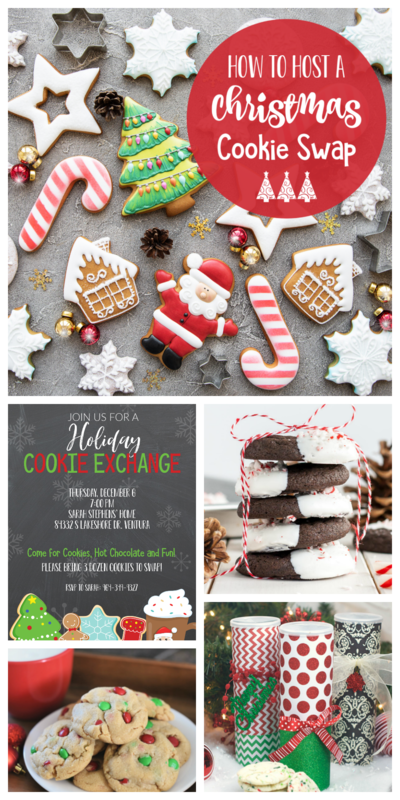 Whether you love Christmas cookies like we do or you just love getting friends or family together for the holidays, this cookie exchange party is going to be a lot of fun! Here are some great tips and tricks to make your holiday cookie swap the best ever! 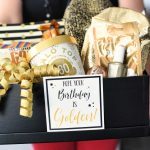 There are a few key elements to hosting a cookie exchange and we will break those down for you piece by piece and you can make plans for your party as you go. Let’s start with the most important part…the cookies! Typically each person will be asked to bring a certain amount of cookies, knowing they will go home with the same amount of cookies that they came with but it will be a variety of recipes, something from everyone who comes, that they will get to go home with. How Many Cookies Should Each Guest Bring? Determining how many cookies you want each person to bring depends on how many people you are inviting and how many you want to send your guests home with. You want to have enough cookies that everyone gets to try a variety and take some of each home, but you also don’t want your guests to have to bring a million cookies. So if you’re inviting 20 people, you probably don’t want your guests to bring a dozen per person (that would be a lot of cookies!) but if you’re only inviting 5 you might want people to bring more per person. The idea here is that your guests can select one type of cookie to bake and bring to share and then go home with something from everyone else so that they have a variety of cookies when they leave. Also, plan to have your guests bring enough cookies that you can serve some at the party and still send some home with everyone. Or any cookie you love for the holidays will work! Now that we’ve talked about cookies, the main part of the show, let’s backtrack a little bit and talk about inviting your guests! When you invite your guests you will want to, of course, tell them the date and time and location. But you’ll also specify how many cookies you want them to bring. Here are some cute cookie invitation ideas you can use to invite your guests! If you need help with personalizing these, we’ve got a tutorial here. It can also be nice to print some recipe cards so that your guests can share their recipes with each other. Keep it simple and let your guests mingle and eat cookies. This is probably best if your guests know each other well and will want time to chat. Play a few simple holiday party games. 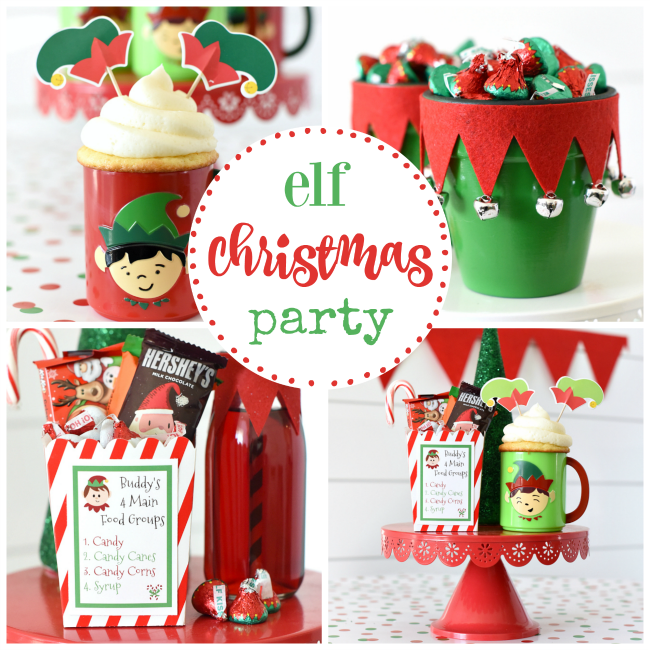 This is great if you are throwing a couple’s or family cookie exchange party or if you want a more involved activity for your party. 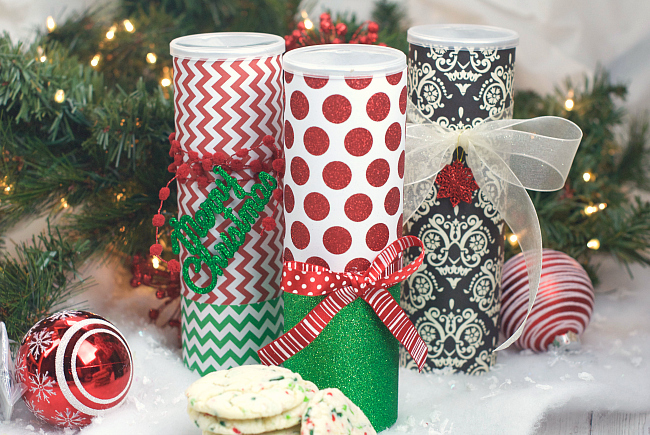 Create fun containers to take the cookies home in (more on this below) like this one. You might want to serve food. 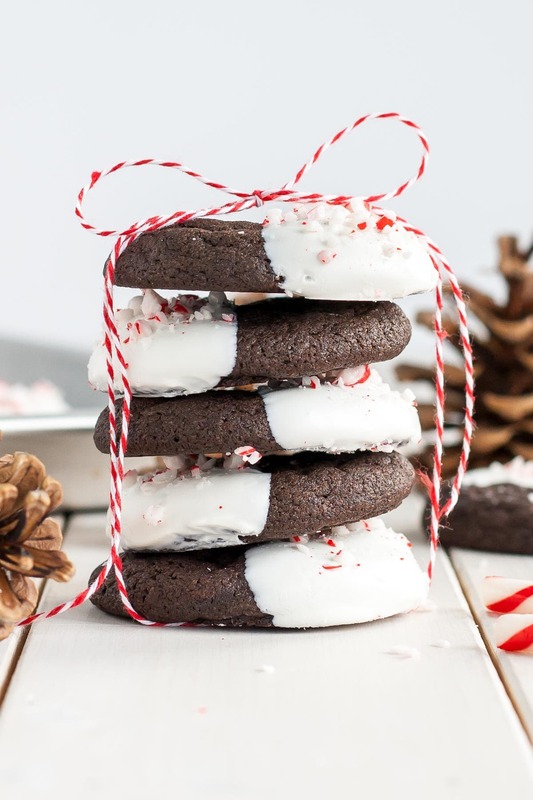 You could just have cookies, you could have some fun hot cocoa recipes to try, or you could have appetizers or food to serve before the cookies. Do a craft! 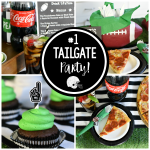 This could be fun if your party is for a few of your girlfriends. You could make holiday cards or holiday planners. 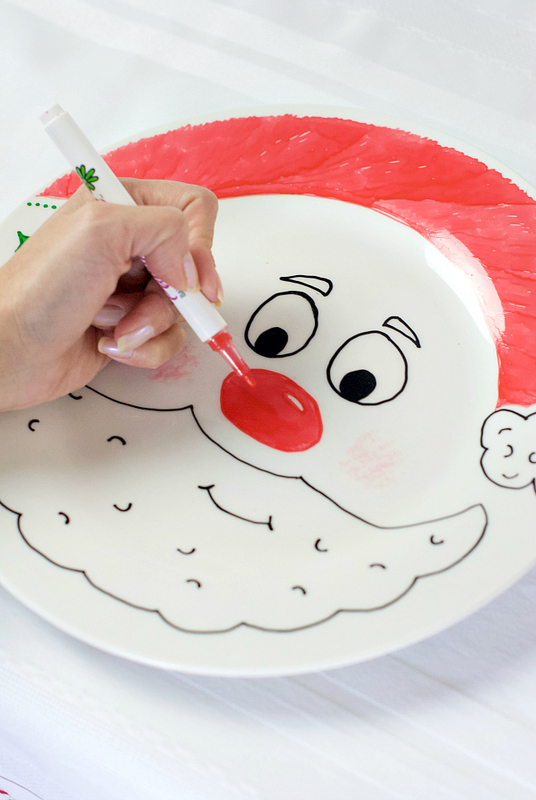 We loved creating our own holiday cookie plates at a holiday party and this could be a very fun activity for your party! You will need some way for guests to package up their cookies and take them home. This can be as simple as you like or you can have fun with the packaging. As mentioned above, this could be part of the party fun if you’d like, or you can pull something together ahead of time. Make and take cookie plate (like the one we decorated above). Just have some foil or something ready to cover it with. 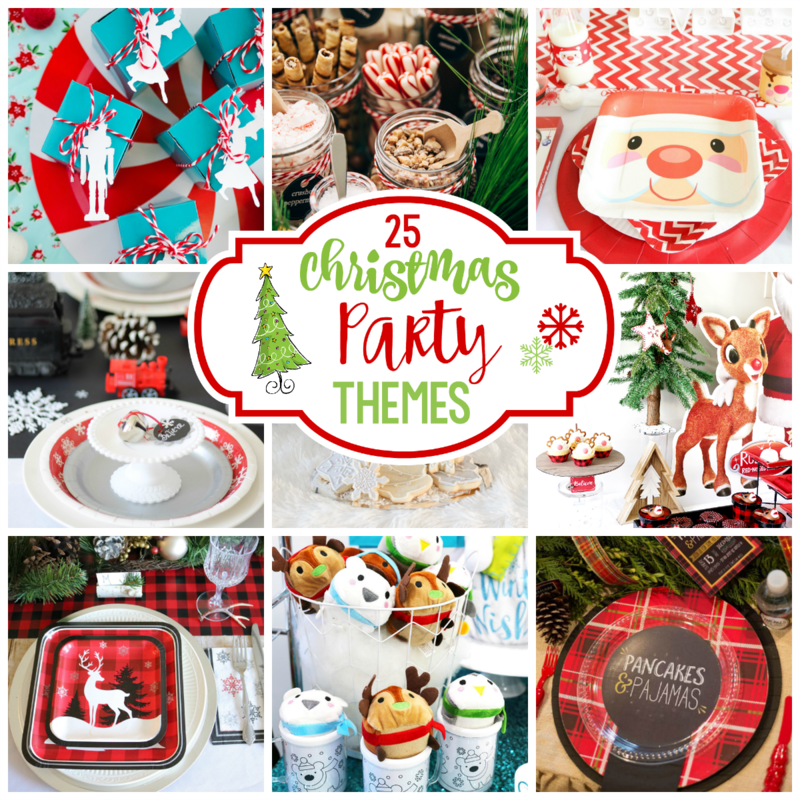 Have FUN throwing your Christmas cookie exchange party!